FC Barcelona's week started on a positive note, as Malcom received clearance from the medical team to return to full training. The summer signing has recovered from a lateral external ligament sprain to his right ankle, which had sidelined him since 3 September. 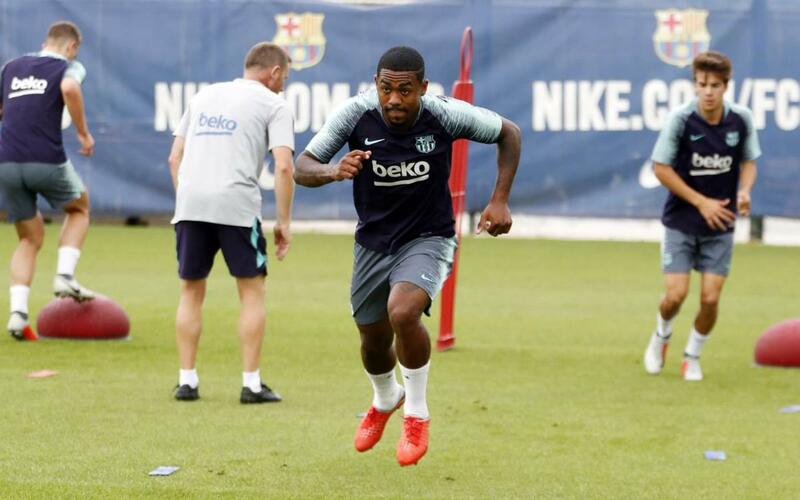 Malcom will be back in training shortly, but the squad were already preparing for their next fixture on Monday morning at the Ciutat Esportiva. In the session -used by the starters in the derby draw against Girona for recovery- Ernesto Valverde was able to work with all of the available first team players, plus Iñaki Peña, Miranda, Monchu, Oriol Busquets and Riqui Puig from Barça B. Miranda has withdrawn from Spain Under-19s training especially to be available to the first team this week. The next training session for the squad will be held on Tuesday at 6pm, before Barça travel to Leganés on Wednesday for a midweek LaLiga fixture. Before the afternoon workout, Valverde will hold a press conference at 5pm local time to preview the Matchday 6 game.